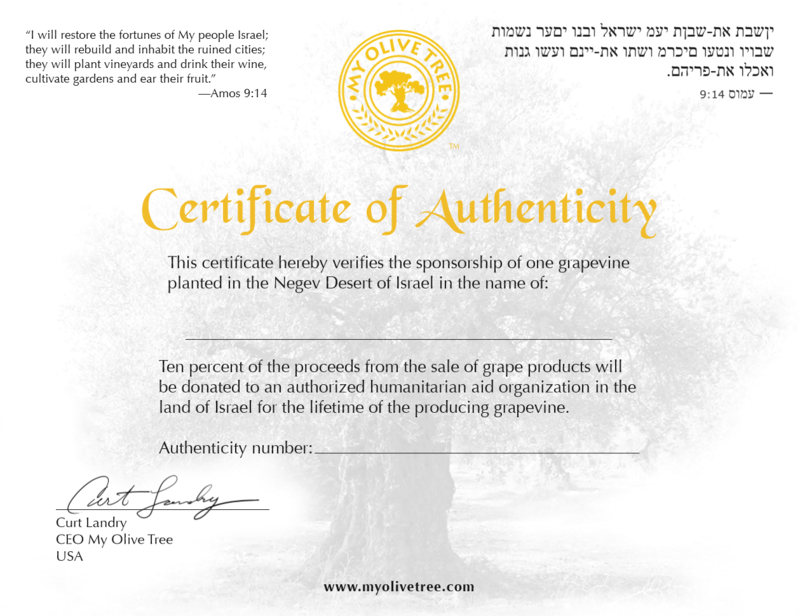 This certificate of authenticity is available as a paid replacement for one that has been lost or damaged. All My Olive Tree Sponsorships include a certificate of authenticity. Only order this item as a replacement.